Here at the Shish Mahal, Glasgow we like to think of our food as a journey, one during which we can take you places which will excite, places you might not have thought of going, but ones you will enjoy once you get there. Our menu takes you on a trip from the ultra-cool slopes of the Himalayas to the fiery plains of Madras, from the lush valleys of Swat to the bountiful Indian Ocean, with more than several stops along the way. Call us on 0141 334 7899. Chicken tikka masala Ali Ahmed Aslam, owner of the Shish Mahal curry house in Glasgow, has a strong claim to be the inventor of chicken tikka masala. He created the dish in the mid-70s using a tin of tomato soup to make a spicy gravy when a customer complained that his meal was dry. The rest, as they say, is history. 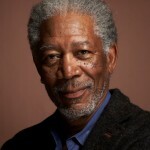 *HOLLYWOOD legend Morgan Freeman has eaten in some of the best restaurants in the world. He has dined with fellow stars and top producers and directors at the most luxurious eateries in Hollywood and London. But yesterday the star revealed he ate one of the best meals of his life at a humble curry restaurant in Glasgow.